Let’s get started on another handy meal kit comparison! 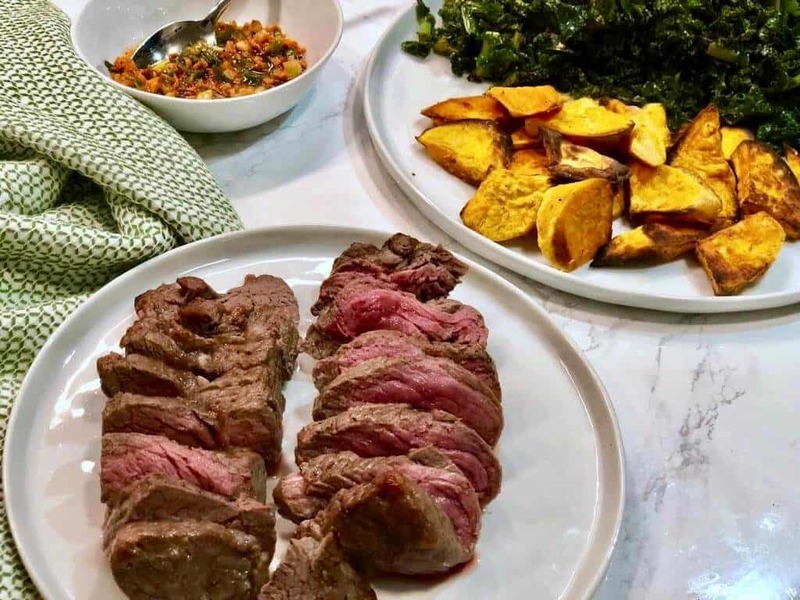 The meal kit industry is one that is constantly changing, with new companies entering the arena and existing companies updating the services that they offer. The choices are seemingly endless and deciding which company is the best for you can be a challenging decision. That is where we come in – we provide these in-depth comparisons for you, so you can assess what individual companies offer and which company might be best suited for your individual needs. Today we will be looking at Sun Basket and Gobble. Sun Basket is one of the most established meal kit companies in the US. Sun Basket’s company mantra is all about making healthy cooking easier and more achievable. The meal kits from Sun Basket are filled with delicious organic ingredients paired with creative and tempting recipes. Gobble is a newer company that offers a delicious range of dishes and for them, convenience is a priority. With ingredients that arrive fully prepared, and in some instances, already pre-cooked, they make the promise that none of their meals will take any longer than 15 minutes to prepare. Sun Basket delivers to 98% of the continental USA while Gobble delivers throughout the continental Unites States. Dishes in these plans include many choices that cater for different dietary requirements such as paleo, lean & clean, gluten-free, vegetarian and many more. You will also find two different plan options offered by Gobble. The Two Person Plan which includes six meals on a weekly basis. These six meals are made up of three different dishes that are suitable for two people. The Four Person Plan which includes twelve meals on a weekly basis. These twelve meals are made up of three different dishes that are suitable for four people. With both companies you can switch from plan to plan depending on your changing needs. Both Sun Basket and Gobble offer their customers an extensive and diverse menu selection. The weekly menu from Sun Basket includes 18 dishes for you to choose from. This menu includes many dishes that are designed for those with dietary requirements. You will find dishes that are suitable for the paleo, gluten-free, vegan and vegetarian diets among many others. The Gobble weekly menu includes 12 different dishes for you to choose from. The menu is organised according to its protein source. There are four different categories which include ‘From the Range’, ‘From the Ranch’, ‘From the Sea’ and ‘From the Earth’. You can select dishes from each of these categories and there are also meals that are designed for child-friendly, dairy-free, low-carb and gluten-free requirements. As part of our comparison process, we try a range of dishes from each company that we are reviewing, and we are happy to report that we enjoyed all the dishes we received from both Sun Basket and Gobble. 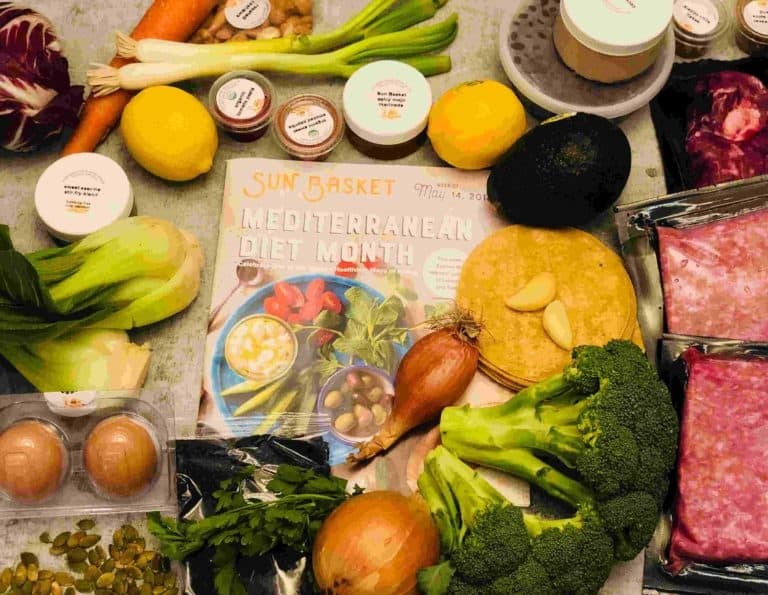 The general impression of the two companies is that Sun Basket is focussed on delivering meal kits that are filled with fresh and organic ingredients, whereas Gobble is all about convenience, with meal kits that take no longer than 15 minutes to prepare. 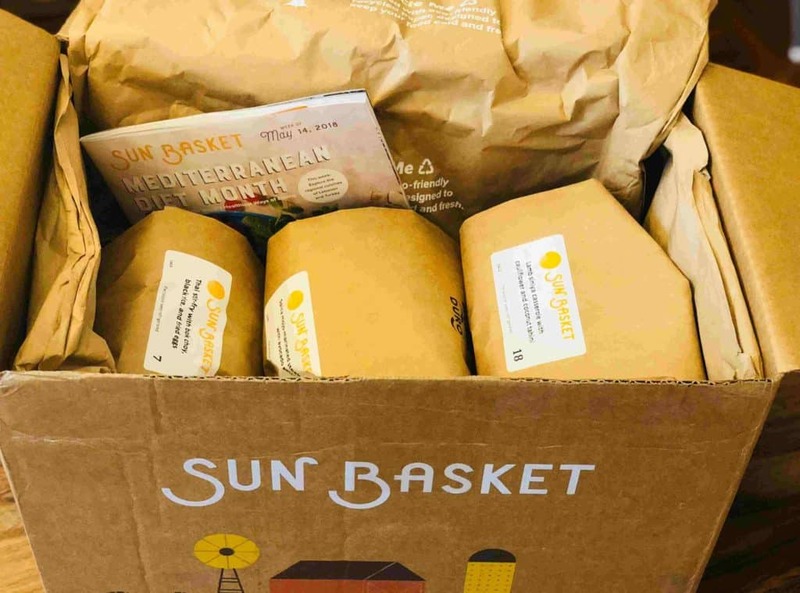 Sun Basket has an all-organic promise and their meal kits are usually very easy to cook and includes beautiful fresh produce and healthy ingredients such as gluten-free pasta, whole grains and rice. Gobble delivers quality ingredients that are portioned, peeled, chopped and marinated to ensure that their meal kits take only 15 minutes to prepare. 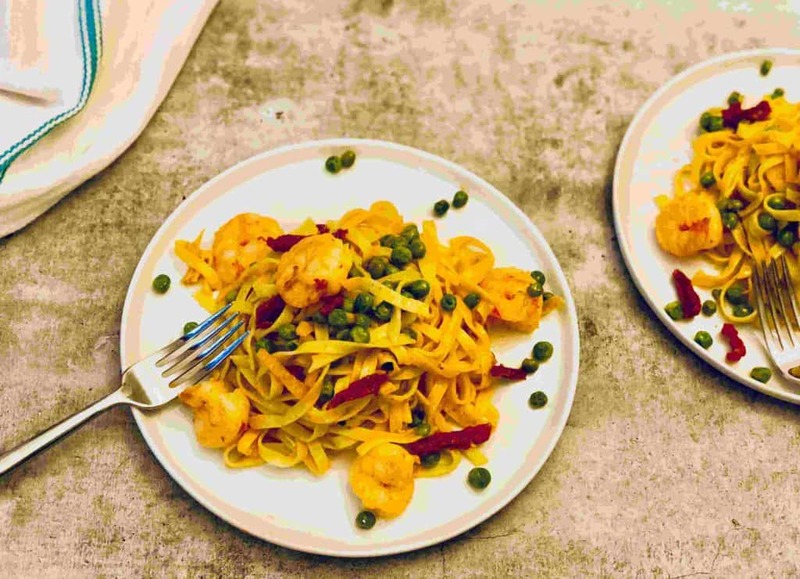 The ingredients from both companies are first-class and both companies place a priority on delivering meal kits that include fresh and delicious ingredients. The ingredients from Sun Basket are all-organic and sustainably sourced which is very attractive to those who are wanting to embrace a healthy lifestyle. 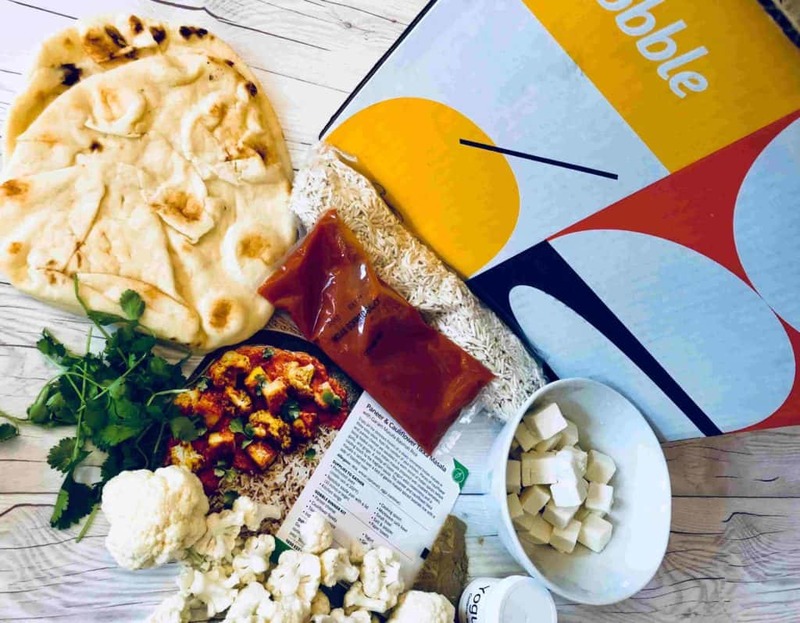 Gobble also pays a great deal of attention to where their ingredients are sourced, and they use a top-quality network of suppliers that are like those used by first-class restaurants. 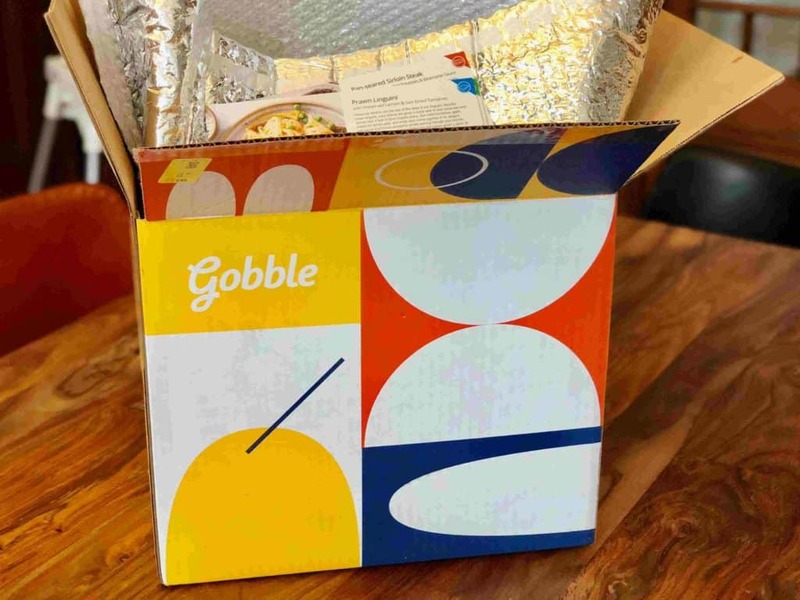 The reason why Gobble is a little different to many other meal kit companies is that many of their ingredients are delivered partially cooked or completely prepared and then vacuum packed. This method is utilized to preserve the quality of the ingredients in addition to allowing for a short preparation time. Both companies are big believers in organization when it comes to their deliveries. The delivery box from each is specifically designed for food deliveries and the contents are clearly labelled and individually packaged. The contents are packed with enough ice to maintain the appropriate temperatures and everything arrives well sorted and in optimum condition. Due to the organization of each delivery, it is simply a matter of unpacking your meal kits and storing them until you are ready to use them – there is no sorting required! The websites of both companies are user-friendly and well-organized. Everything you need to accomplish to easily manage your account can be done online. This includes registering, updating your details, specifying dietary preferences, selecting your meals and canceling your account. Sun Basket also has an app you can use to manage your account and while Gobble does not have an app, their website is mobile optimized. We really enjoyed both Sun Basket and Gobble though there were a few differences between the two companies, which means they would appeal to different audiences. Gobble is a very attractive service to consider if time is a big issue. With ingredients that are fully prepared and, in many cases, partially cooked, preparing a Gobble meal kit is a 15-minute breeze. Despite this, our winner today is Sun Basket – We just love the fact that their ingredients are organic, super fresh and delicious. Sun Basket also makes a great effort to make their meals easy to cook, so their cooking process is generally very easy and takes around 30 minutes or even less sometimes. To top it all off, the company also offer a wonderful range of variety within their menu and they cater to many special diets like Paleo, Gluten Free, Keto and more..